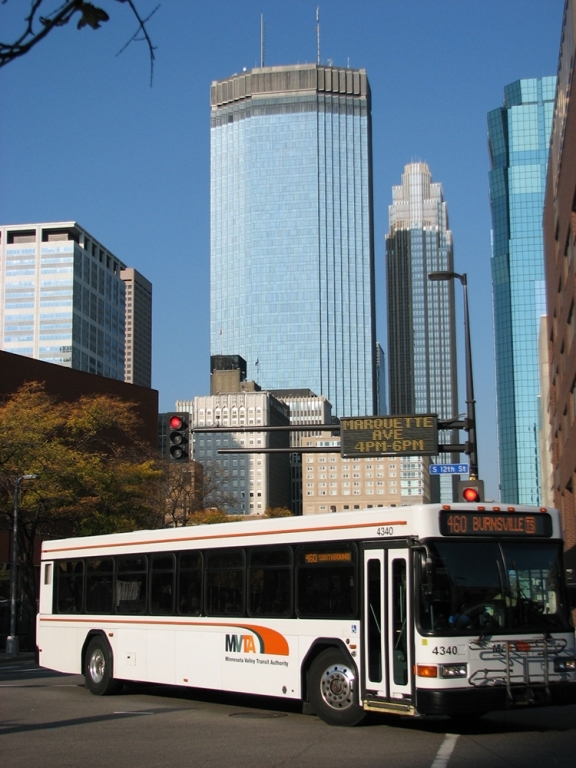 The Minnesota Valley Transit Authority (MVTA) is the public transportation agency for seven suburbs located approximately 15 miles south of Minneapolis and St. Paul: Apple Valley, Burnsville, Eagan, and Rosemount in Dakota County, Savage, Prior Lake and Shakopee in Scott County. The MVTA is one of several independent bus transportation agencies formed in the late 1980s under state legislation that allowed outer-ring suburbs to "opt-out" of centrally provided transportation services. A nine-member board consisting of elected officials or their designees governs the MVTA. Each of the seven cities appoints one member to the MVTA Board and one city staff person as an alternate board member. The remaining two seats are filled by a Scott County and a Dakota County commissioner. Another County Commissioner serves as the alternate County representative, while County staff assist the MVTA as members of the Technical Work Group. The MVTA is funded with a portion of the Motor Vehicle Sales Tax (MVST) - the sales tax paid when new cars are purchased. Through grant applications, the MVTA has received federal funding and regional bond moneys for various capital improvement projects as well. Passenger fares account for about 30 percent of the cost of operating the MVTA system. See sidebar for additional Information about MVTA Partnerships and Cooperative activities.